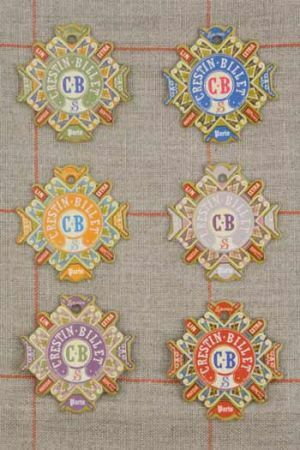 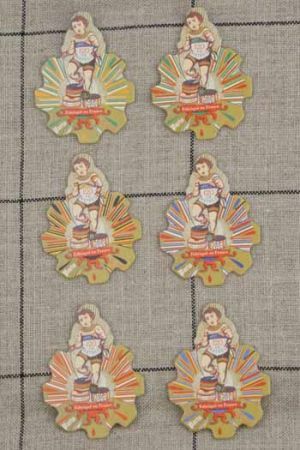 This thread card series represents athletes perched on thread capsules. 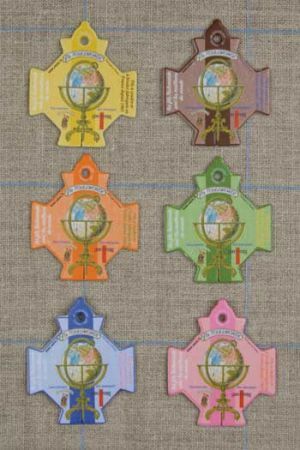 Each card bears the colours of a different country: Germany, France, Japan, Italy, Ireland and Roumania. 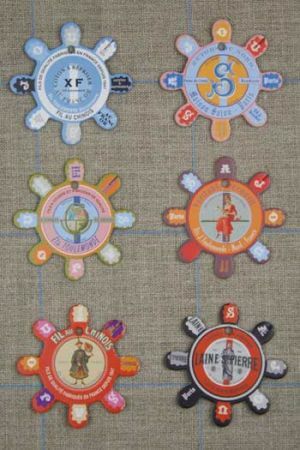 Can you find they flag for each country? 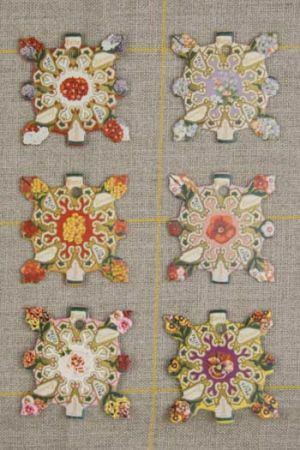 This thread cards model is taken from a geometric design dating from the debut of the 19th century. 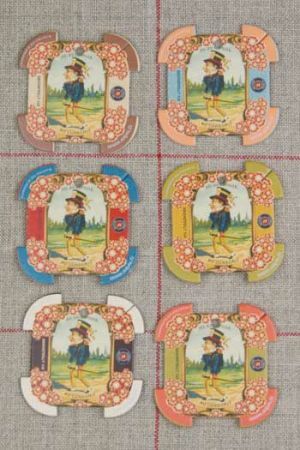 In the middle the two letters "C" and "B" which are the Frédérique Crestin-Billet family name, aka "Madame Sajou"
These thread cards feature a touching image of the Fil Au Conscript mascot draft into the army. 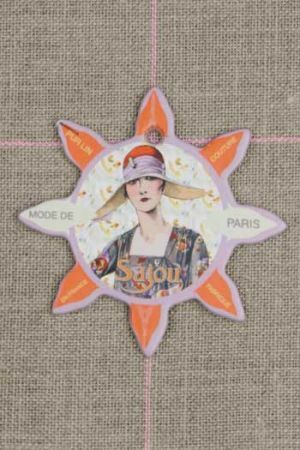 These thread cards depict "La Mode de Paris" in the 1930' with women wearing pretty hats. 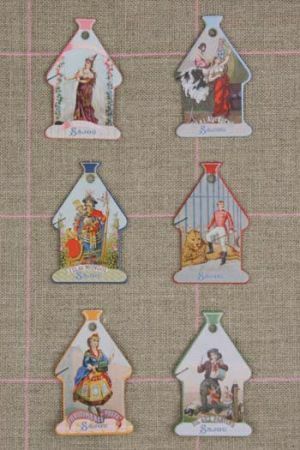 These thread cards feature vintage labels for thread brands from the days gone by. 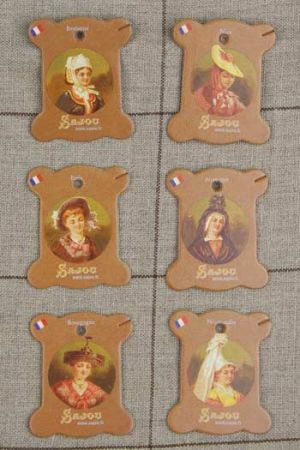 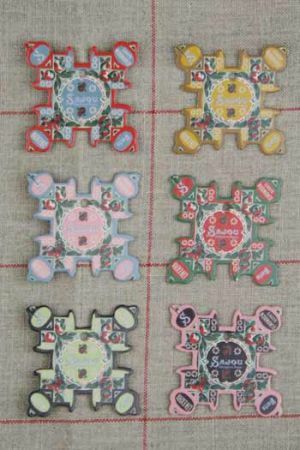 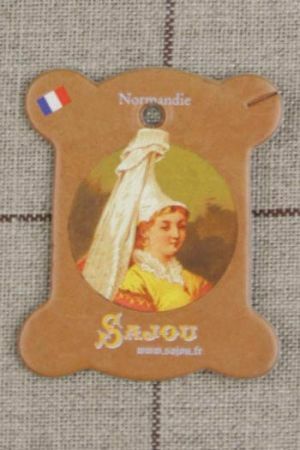 These Sajou thread cards is a tribute to Normandy and the regions' speciality: the cultivation of apples. 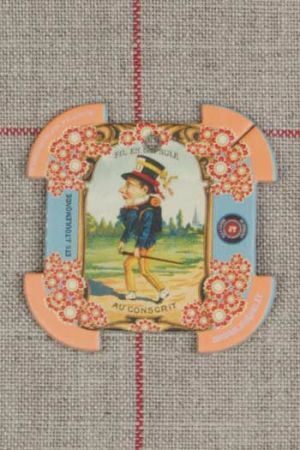 On these thread cards are variations of a globe evoking in an amusing manner the name of Toulemonde - one of the last remaining French thread producers and owner of, among others, the Fil Au Chinois brand. 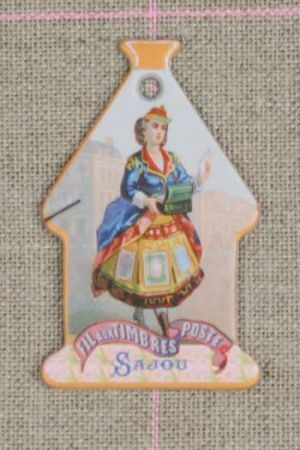 This thread cards series continues the great tradition of thread cards - the promotion of threads that exist today. 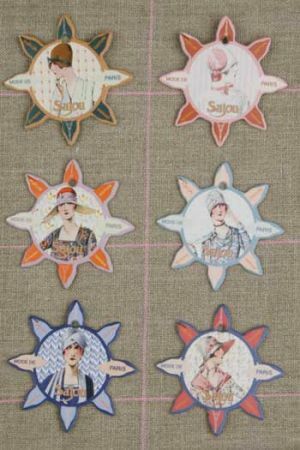 These thread cards depict the heads of old fashioned French costumes: Normandie, Paris, Nice, Bretagne, Bourgogne and Auvergne.